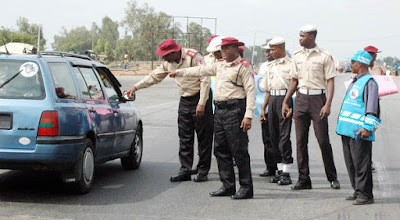 The Federal Road Safety Corps has caught 4,000 drivers in Abuja within the last three months and referred them for psychological evaluation. The new Federal Capital Territory Sector Commander of the commission, Ayuba Wobin, disclosed this during a visit to the FCT Minister, Muhammad Bello, on Friday. According to a statement by the commission, the Corps helmsman used the occasion to assure FCT residents of the preparedness of the Command to ensure safety on roads in the territory during the ember months. Mr. Wobbin praised the contributions of the FCT administration efforts to reduce road crashes and safeguard the lives of road users here. He appealed for the support of the administration for the patrol activities of the commission during the ember months towards ensuring safer roads and fuller lives in the FCT.